Looking to "pimp" your ride, or just interested in adding performance modifications? This is the place! 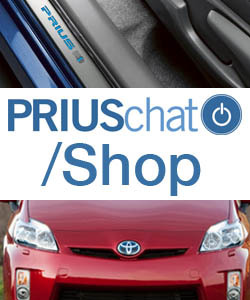 Have you turned your Prius into a Plug-In Hybrid, or are you looking for real-world people who have done it? Come on in and discuss! Want to install an Engine Block Heater yourself? This guide may help. Gas Tank Capacity 2006 Prius? Changing tire sizes, okay or no? Wrecked. Saying goodbye after 7 years. Lousy FM reception aftermarket radio. Antenna powered? Traction battery discharger shut off. Red triangle and other red warning image?